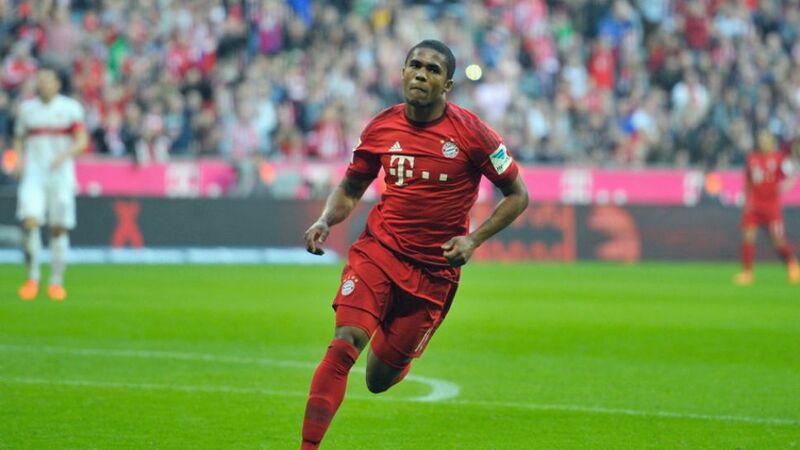 At the end of the 2014/15 season, with both Arjen Robben and Franck Ribery out with long-term injuries, FC Bayern München coach Pep Guardiola opted to bring in Douglas Costa as cover from FC Shakhtar Donetsk. With the aforementioned ‘Robbery’ still out of action come the beginning of the 2015/16 campaign, Costa seized his chance to shine, terrorising defenders both at home and in Europe and establishing himself in barely a few months as arguably the Bundesliga’s most exciting player. Born in Rio Grande do Sul in southern Brazil, Costa first came to prominence when he turned professional with Gremio in the city of Porto Alegre. His potential evident from early on, he was courted by clubs such as Barcelona and Real Madrid, but he had to wait until January 2010 for a transfer to Europe. Many Brazilians before him had flourished at Shakhtar, but few enjoyed as much success as Costa in his five years in eastern Ukraine. He lifted the league title five times, adding the Ukrainian Cup in 2011, 2012 and 2013, and he was part of an enterprising side that reached the knockout rounds of the UEFA Champions League in 2012/13 and 2014/15. Thrust into the first team in the absence of Robben and Ribery, and despite having returned to pre-season late after the 2015 Copa America, Costa was more or less the finished article from the get-go in Munich. He scored one and assisted another on his league debut in a 5-0 win against Hamburger SV and was instrumental in Bayern's Bundesliga and DFB Cup double triumph.